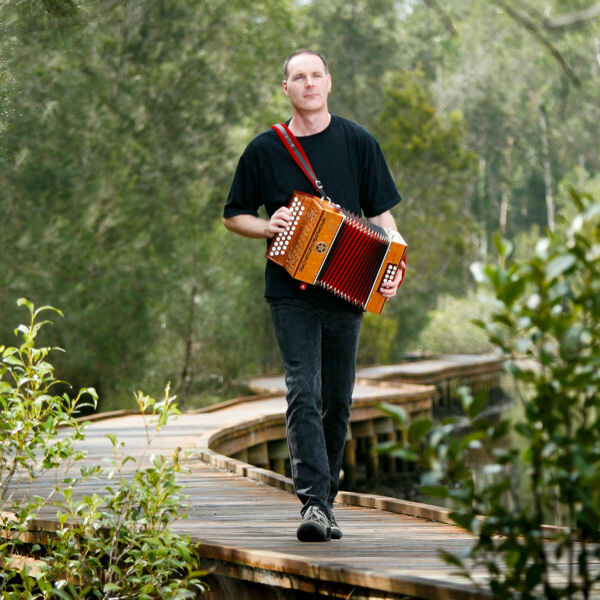 Paul is one of the leading exponents of the button accordion in Australia, his skilled honed in the folk clubs and festivals of his native England. He moved to Australia in 1998 and joined Spiral Dance in 2000, bringing with him his love of English folk ballads and passion for European dance tunes. His energetic, off-beat playing style comes to the fore at live shows and he has also contributed some of his own compositions to the band's recorded repertoire. In 2009, he was very proud to win "Most Outstanding Instrumentalist" at the South Australian Folk Awards. And as you probably know, Paul plays beautiful hand-made diatonic button accordions by Peter Hyde...thanks Peter! 'n' 'ow the 'ell did I get the job of Web-dude...? ?